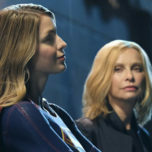 In this week’s episode of Supergirl Radio, Morgan Glennon and Rebecca Johnson are joined by Alex of WhatTheFangirl.com to discuss the Supergirl season two episode titled “City of Lost Children”! Join in on the fun as the gang at Supergirl Radio covers The CW’s Supergirl! Supergirl stars Melissa Benoist (Kara Danvers/Supergirl), Chyler Leigh (Alex Danvers), Mehcad Brooks (James Olsen), David Harewood (Hank Henshaw/Martian Manhunter), Jeremy Jordan (Winslow “Winn” Schott), Chris Wood (Mon-El), and Floriana Lima (Maggie Sawyer). STORY BY: Robert Rovner. WRITTEN BY: Gabriel Llanas and Anna Musky-Goldwyn. DIRECTED BY: Ben Bray. 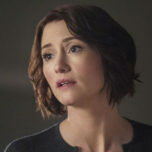 Ali Adler Andrea Brooks Andrew Kreisberg Christopher Wood Chyler Leigh David Harewood David Hoflin DCTV Eric Carrasco Geoff Johns Greg Berlanti Gregg Henry Jeremy Jordan Josh Hallem Katie McGrath Mehcad Brooks Melissa Benoist Morgan Glennon Rebecca Johnson Supergirl Supergirl Radio Supergirl Season 2 Teri Hatcher The CW Warner Bros TV. Tags: Ali Adler / Andrea Brooks / Andrew Kreisberg / Christopher Wood / Chyler Leigh / David Harewood / David Hoflin / DCTV / Eric Carrasco / Geoff Johns / Greg Berlanti / Gregg Henry / Jeremy Jordan / Josh Hallem / Katie McGrath / Mehcad Brooks / Melissa Benoist / Morgan Glennon / Rebecca Johnson / Supergirl / Supergirl Radio / Supergirl Season 2 / Teri Hatcher / The CW / Warner Bros TV.